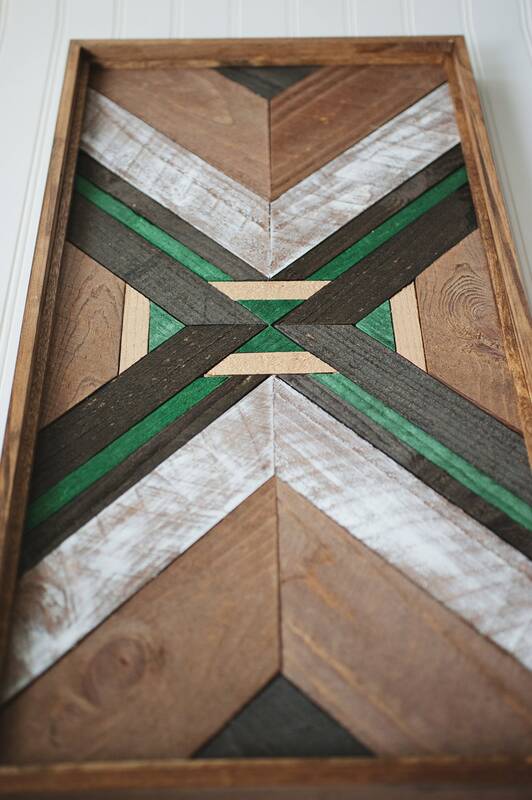 Built By Brandon is a woodworking series of rustic home decor pieces designed and built by hand, stained in the most on-trend color palettes and ready for hanging! 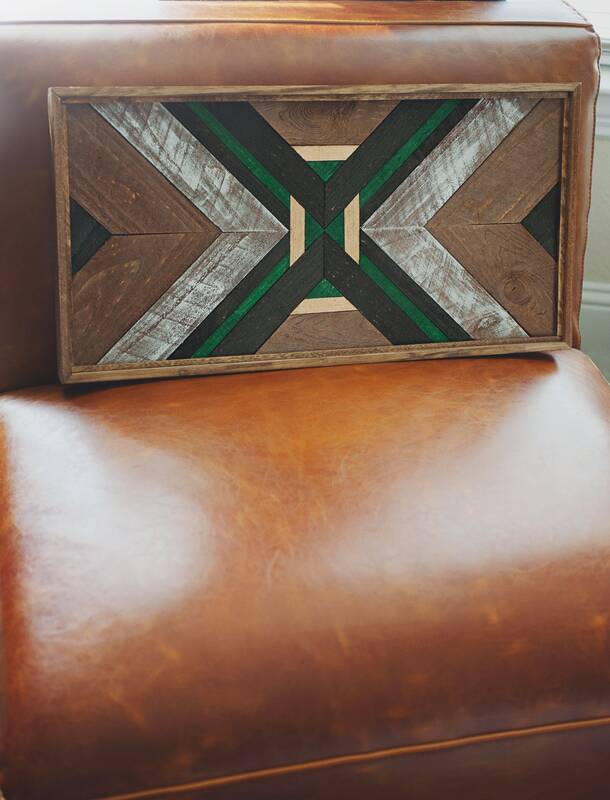 This piece features a mixture of emerald green, black & white stains along with a pop of metallic gold. It can be hung vertically or horizontally. This hanging is handmade and is one-of-a-kind, and is the item as-shown, ready to ship. 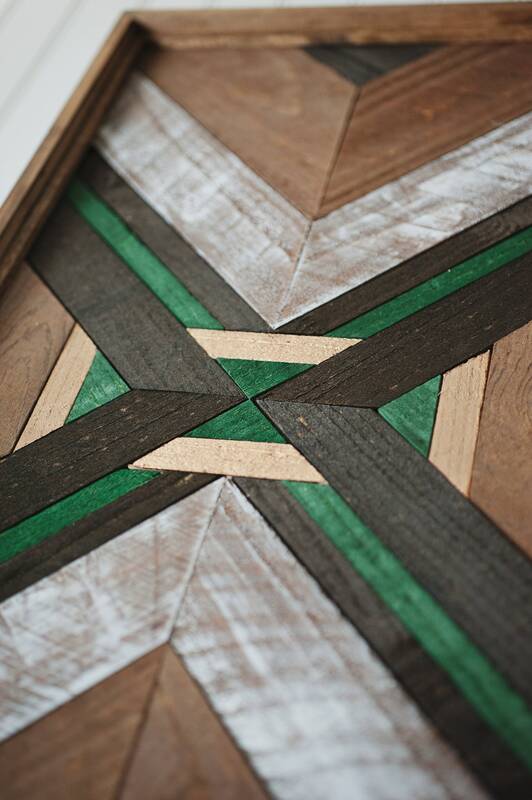 Pieces are posted as they are created, and each one is unique. They are photographed in natural light and some slight variations may occur between your computer screen settings and the product's "real life" colors. 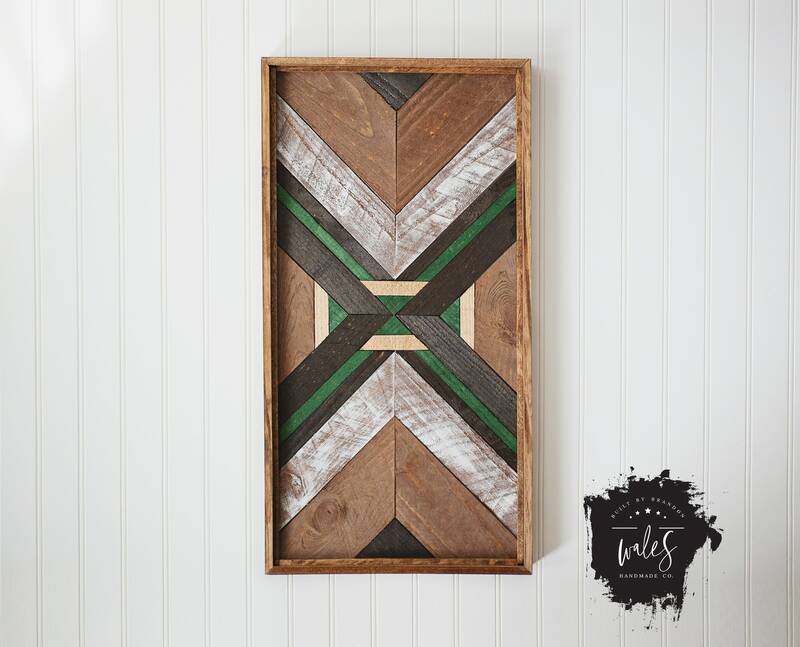 This hanging is made from rustic, rough wood, and no item is perfectly-perfect. It was built with love, not a pre-fabricated machine! The finished product is approximately 24" long, 13" wide and 2" thick. We take great pride in our handmade items and will ship this item wrapped and padded and carefully boxed.